Chinese New Year is just around the corner and I would love to take advantage of it and dress up for the festivity. CNY is all about the color red as it symbolizes auspiciousness. Despite the fact that I am not a huge fan of the color, reaching out for a little red and gold floral dress sounds nice around this time of the year or maybe a midi skirt to keep myself warmer. (Let's be real. It's still cold outside.) 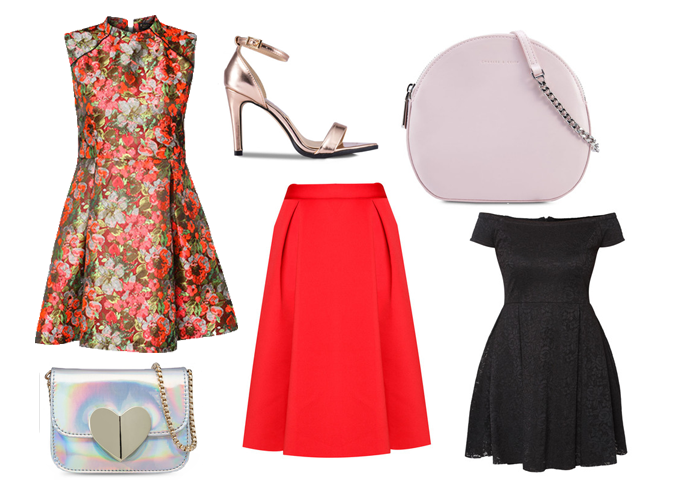 If you really don't feel like wearing red, you could always go for a staple black dress with a twist of metallic accessories, be that a pair of rose gold heels or a holographic cross body bag. Pink is nice option too if you want a softer look. Have fun experimenting with your CNY outfit and don't be afraid of being bold. I mean, no one's gonna judge yo even if you go all out during the festival, right?